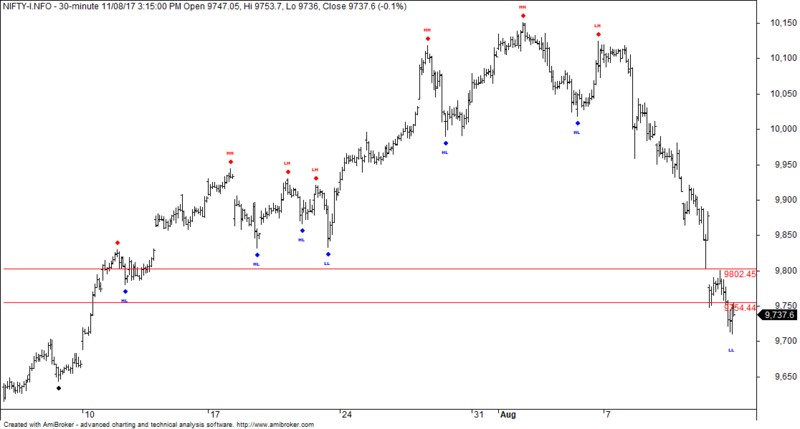 Nifty Futures on the weekly timeframe had lost a weight of -3.7%. Trading sentiment continues to be down across all the timeframes. Markets are continuously falling on global tensions as long term trading activity is greatly missing from the markets. Pullbacks are possible if the global tension eases out. Nifty futures move above 9750-9763 band in the very short term could bring some momentum on the upper side. Positional Trend continues to be in the down trending mode since 8th Aug. Upper trend above 9750-9763 band could bring a potential change in trading sentiment towards a positive sentiment and more possibly test towards the partially filled gap around 9800 reference and psychological reference around 10,000. Even a positive opening on Monday could bring positive bias from a shorter term trading perspective. Put Writers are Supporting currently at 9700PE and 9800PE strikes with strike-wise PCR ratio at 1.78 and 1.24 respectively. 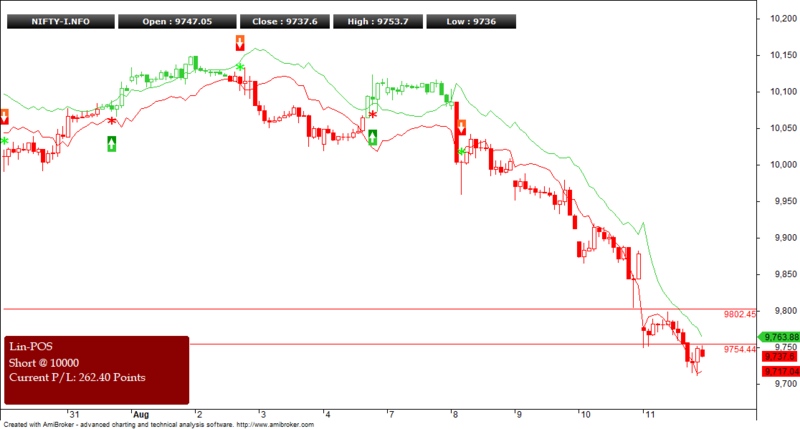 Failure to cross 9750-9763 band indicates the continuation of positional down trending mode. Good one. Sir, timeframe discussed is very short. Nifty has been in up trend since 145 odd sessions with reversal in 9 sessions. What do you see a broader picture : Timewise & pointwise ? What are the real important retrenchment levels ? Limiting the timeframe to shorter period reduce your risk unless you are an investor. Any body can come up with the their view about markets in a matter of 10-15min. Ultimately trade execution speaks louder than views. Neither your view nor mine matters when comes to live execution.